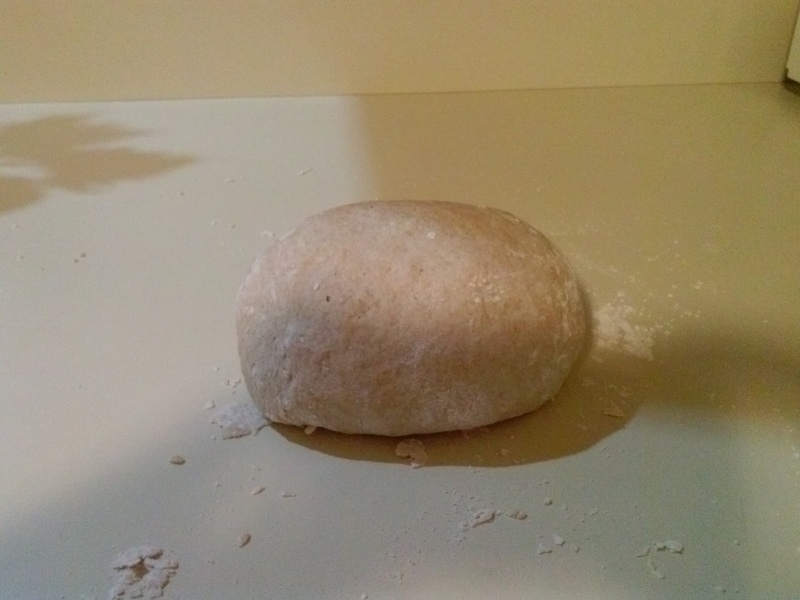 In a few moments I will head to the kitchen to begin making pizza dough. I will pull out my large Tupperware bowl as well as the flour, the yeast, the salt, the sugar, and the olive oil. With little thought, my hands will measure the ingredients and mix the dough. I could make this recipe in my sleep. Tonight’s dinner is a staple at the Brummeler house and has been for a long while. Before coming to Stony Brook, the weekly ritual of making pizza on Friday night signaled the end of the work week and the beginning of the weekend. No one asked, “what’s for dinner?” on Fridays. We knew. These days our pizza ritual is more fluid–sometimes I make pizza mid-week or on Saturday or Sunday night, but it still happens. Friends, students, and family have shared in our pizza ritual over the years. Finally, I love rituals that anchor and shape family life. For our family, homemade pizza night was that kind of ritual. Perhaps it will become yours as well. In a bowl, mix the yeast, sugar, and water. Let proof for 5 minutes. Add the remaining ingredients. Knead the dough on a floured surface, adding more flour until it is not sticky. Place in a bowl and cover, letting it rise for 5 minutes to 2 hours depending on the texture you would like. The longer you let the dough rise, the more bread-like the dough will become. Punch down the dough and shape into a large pizza. Top with any combinations and bake at 450 degrees for 15 minutes. Since I have enjoyed your homemade pizza when you lived in my neighbourhood, some years back now, perhaps I really need to try making it for my own family! Other friends have shared their recipes with me, too…what is it about making pizza dough that strikes some of us as too scary to try?! The yeast?! Must dare greatly in the kitchen!